LAS VEGAS - When INSIDE VEGAS stories get stuck in Nevada's judicial or political mud and progress seems at a stand still, I sometimes reveal a few behind the scenes secrets to try to jump start long needed action. This is one of those times. 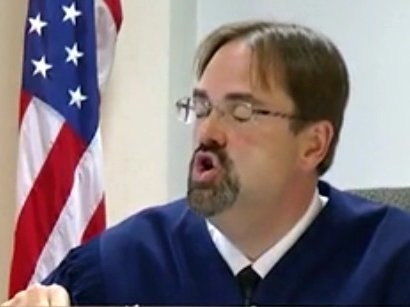 In the ad nauseam story of local private guardian Jared E. Shafer, and the Clark County Family Court judges who enable him, many readers keep asking the same questions; "Why haven't these guys been prosecuted by the Clark County DA, Nevada AG, or US DOJ for (allegedly) exploiting wealthy court appointed elderly and disabled wards? And where's the Nevada Judicial Discipline Commission when we need them to go after the judges?" The following information may help answer these questions, but don't expect to be satisfied. 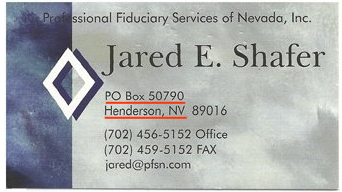 In October 2013, sixty pounds of original documents reportedly disappeared from the office of Professional Fiduciary Services of Nevada, Inc. (PFSN) on Pecos Road in Henderson. Without my prior knowledge, the documents packed in large cardboard banker's boxes mysteriously appeared on the public sidewalk in front of my house. When I first saw the unsealed boxes sitting there, I looked inside. They contained what I as an investigative commentator considered to be a treasure trove of potentially incriminating evidence about Jared Shafer whom I had been writing about since 1999. Included was an extensive file about what appeared to be an exploitative guardianship of multi-millionaire heiress Leann Peccole Goorjian. I never met Ms. Goorjian though I knew her late father Bill, and several of her closest friends, so I was very intrigued. 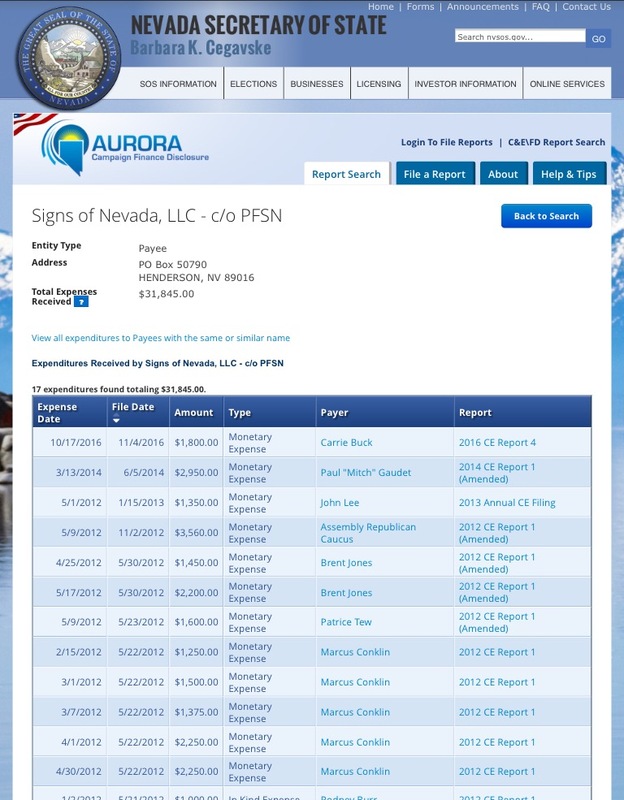 The documents and their source (whom I later confirmed) are protected under NRS 49.275, the Nevada Reporter's Shield Law. I have waited until now to reveal the document's existence based on whether my having shared portions of them with the Las Vegas Metropolitan Police Abuse and Neglect Detail, Clark County District Attorney Steve Wolfson, Nevada Attorney General Adam Laxalt, and federal law enforcement authorities would hopefully inspire comprehensive investigations into what I believe is wide spread criminal guardianship fraud perpetrated against wealthy Southern Nevada retirees and disabled people. So far, the criminal investigations that have occurred were only local and yielded prosecutions of lower level operatives (low hanging fruit), while those who many believe are the masterminds - including several judges - have been allowed to remain unscathed. 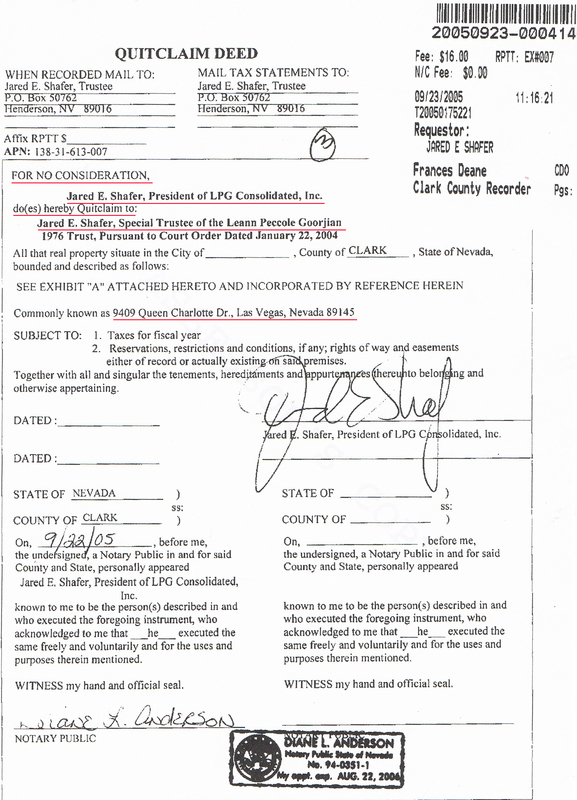 Based on my knowledge of the Peccole family's good name and Leann's esteemed relatives who included a Clark County Commissioner and Sheriff, Nevada State Senator, and a billion dollar family owned land development company, and after the documents revealed that the majority of her personal holdings including a two million dollar hillside home somehow became the property of Jared Shafer, with full documentation in hand, I confidently authored the November 18, 2013, INSIDE VEGAS column "Grave Robbery Under Color Of Law." 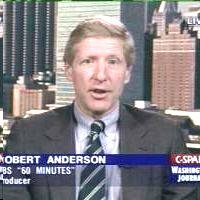 Several months after my column appeared on AmericanMafia.com, I received an unsolicited email from CBS Sixty Minutes Senior Producer Bob Anderson. 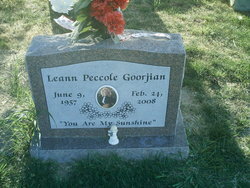 He said he wanted to speak with me in confidence regarding my Leann Peccole Goorjian column. The day following our brief phone conversation, Anderson flew to Las Vegas where we met for lunch. He asked me to promise not to talk about our meeting until after an initial Sixty Minutes segment on guardianship fraud had aired. At the Macaroni Grill on West Sahara, Anderson grilled me about the Peccole case and specifically about her guardian Jared Shafer. Off the record I revealed that I had copies of confidential files from Shafer's office regarding the Peccole case and a number of others, and agreed to share copies of any pertinent documents with him and associate producer Aaron Weisz. Several weeks later, a CBS crew arrived in Las Vegas from New York. Their arrival did not escape local notice. I received a call from George Knapp, a reporter at the CBS affiliate in Las Vegas asking if I knew why Sixty Minutes was snooping around town asking about Jared Shafer. I said I had no comment. Anderson and I secretly met several more times during the spring and summer of 2014 where he told me of his progress. 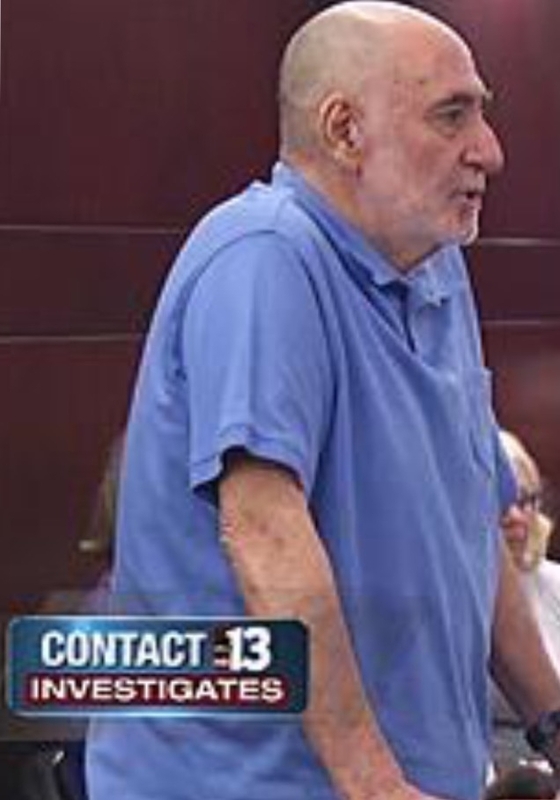 He said he had obtained an in-prison interview with Patience Bristol, Shafer's assistant who had been convicted of elder exploitation, and was planning a possible "ambush" interview with Shafer at his Pecos Rd. office, a tactic Sixty Minutes is famous for. I was very excited to be a part of exposing what I considered immoral and illegal behavior, and eagerly awaited the planned October 2014 airing of Anderson's first-in-a-series Sixty Minutes story. In September 2014, I received a call from Anderson. He sounded very despondent. I was told that the CBS News attorneys in New York thoroughly vetted his story and advised that no Nevada laws had been broken in any of the examples he planned to cite on Sixty Minutes. That in each case Anderson investigated, a Clark County Family Court Judge had signed off on Shafer's actions. I responded that that was the realstory! That Family Court Judge Charles Hoskin and his appointed "Hearing Master" Jon Norheim, along with Family Court Judge William Voy had always approved of almost everything Shafer did to his "wards" and their estates, that most of the Nevada Revised Guardianship Statutes they were bound to uphold had been written by Jared Shafer over a thirty-four year span since he was appointed in 1979 by then Clark County Commissioner Manny Cortez (father of United States Senator for Nevada Catherine Cortez Masto, Shafer's god daughter), and some additional "Shafer Laws" were enacted after Shafer's 2003 retirement from the county to go into private practice. Nonetheless, the Sixty Minutes story never aired, but Anderson and Weisz requested I keep them updated, and I have. In the meantime, I contacted the Goorgian family's attorney Gus Flangas whom I had known for years. 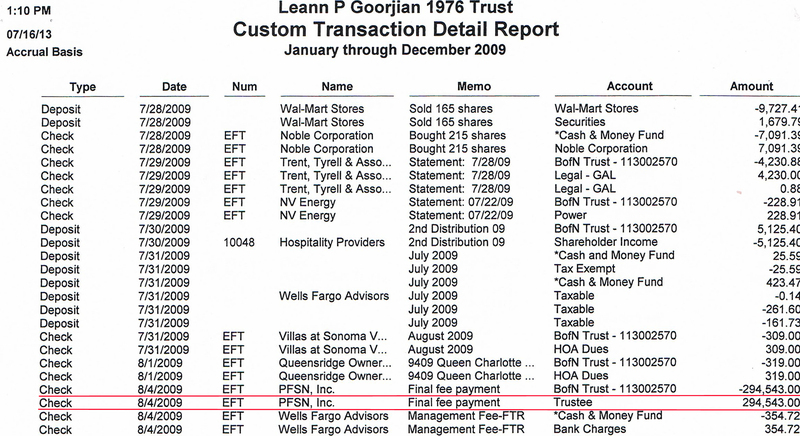 Gus was provided Leann's complete file to share with her ex-husband Greg and two sons. Shortly thereafter, I received a call from Greg Goorgian's wife. She said that Leann and Greg's adult sons were told that Shafer is an attorney and that he has their best interests at heart. I explained that Shafer was never an attorney, and that her family needed to put a stop to his obvious exploitation. She said her husband would get back to me soon. I never heard from Greg Goorgian, but I did have an off the record conversation with attorney Flangus. Because of my respect for Leann's family, and my friendship with her late father Bill, I will not go further other than to say the family did not take action to stop Shafer, and as far as I know, in the eyes of Hearing Master Jon Norheim (left), Leann is still alive - at least on court documents - because Norheim allowed Shafer to receive funds and fees from Leann's trusts and accounts for years after her death in pseudo accord with what's called a "Shafer Law:"
NRS 159.193, "Winding up affairs: 1. The guardian of the estate is entitled to retain possession of the ward's property already in the control of the guardian and is authorized to perform the duties of the guardian to wind up the affairs of the guardianship: (a) Except as otherwise provided in paragraph (b), (c) or (d), for not more than 180 days or a period that is reasonable and necessary as determined by the court after the termination of the guardianship." At this point you must be asking how this can take place in a civilized society? Nevada is a sparsely populated and rural state with an abundance of vacant lots where political signs regularly appear during elections. Our city, county, and state lawmakers and judges learned long ago that the cheapest and most effective way to win a Nevada election is to plaster the desert with signs. Thousands of signs like those below appear on every vacant lot during election season mainly advertising the candidacy of Clark County Family Court Judges, District Attorneys, Sheriffs, Nevada Attorney Generals, Nevada Assembly and State Senate candidates, i.e., "lawmakers." The majority of these 8' by 12' a-frame portable political signs are provided to politicians by Signs of Nevada, LLC, a business owned by none other than Jared E. Shafer who also owns PFSN, Inc. guardianship service, PO Box 50790, Henderson, NV 89016. Most of the named payers above are lawmakers or judges who Shafer supports. In fact, it's almost impossible to win a lower level political post without the use of Shafer's signs, I know because I've run several successful political campaigns. His signs are an absolute must-have item if you intend to win. 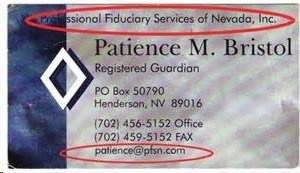 The quid pro quo is that many politicians including family court judges who benefited from Shafer's cheap or donated signs have sponsored or judicially enforced horrible legislation that gave Shafer and other Nevada private guardians total control over the persons and fortunes of their wealthy wards of the court (poor people are not assigned guardians). One public official recently expressed a vastly different opinion. On a local TV program hosted by LV Mayor Carolyn Goodman that aired on May 13, Nevada Attorney General Adam Laxalt was asked about guardianship fraud. He replied "We are going to stop private guardians from taking their wards for everything they're worth." I hope he was referring to Shafer, otherwise prosecuting only the low hanging fruit will have little effect on stopping such a multi-billion dollar scam. A much more powerful example must be set, or the AG, DA, and LVMPD will just be wasting taxpayer's money, and there will be many more victims in the future. Retirement, Las Vegas' second largest industry, doesn't need the bad press. Shafer still owns the political sign company, but sources report that PFSN is no longer in business after recent articles questioning his activities by Colton Lockhead in the Las Vegas Review Journal, Dan Roberts and Rana Goodman in The Vegas Voice, and Darcy Spears on KTNV TV Channel 13 News, not to mention my constant harping in these columns and my frequent E-Briefs. Also, Shafer, his convicted assistant Patience Bristol, and Shafer's bank trust officers at Wells Fargo are defendants in a nasty federal civil racketeering lawsuit brought by the family of one of their purported victims, so it was an opportune time for Shafer to retire. I have been told that private guardian Denise Comastro, one of Shafer's protégés, has been assigned as successor guardian to his remaining wealthy PFSN "wards." With "Isolate, Medicate, and Steal the Estate" as the mantra for so many private guardians, I can only wish Comastro's new found "wards" (and their court disempowered heirs) the best of luck during their twilight years, and caution Denise that she will be watched very, very closely. I also hope that law enforcement authorities have not dropped the ball and realize their work has just begun. Meanwhile, Jared Shafer is said to be enjoying his retirement - while he can. At the same time, his judges remain on the bench, and reportedly take lavish European vacations during their time off. "What happens in Vegas, stays in Vegas?" Not on my watch!